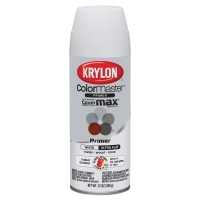 Krylon Spray Primers are fast-drying interior/exterior primers that prime, seal, and protect a variety of surfaces including wood, metal, glass, paper, and more. They dry to the touch in 10 minutes or less, are dry enough to handle within one hour, and allow topcoat colors to adhere better and show a truer color. One 12 oz (340 g) can covers a 25 sq ft area. A redesigned, recyclable Pinch N’ Pull cap is easier to open than ever before. 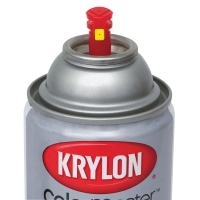 Krylon’s exclusive EZ Touch 360° Dial Spray Tip rotates to change the direction of the spray to vertical, horizontal, or any angle, ensuring precise control, less overspray, less finger fatigue, and a perfect finish. 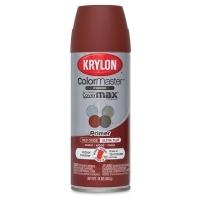 Its focused fan spray covers 34% more area with fewer passes than a traditional conical spray tip. 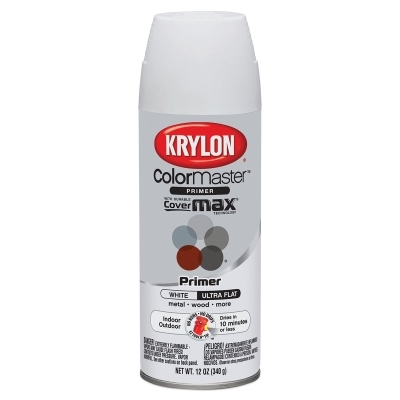 ® Krylon is a registered trademark of the Sherwin-Williams Company.™ EZ Touch 360° is a trademark.